We're now on FACEBOOK! Just click here and check out articles, photos and leave a message if you wish! 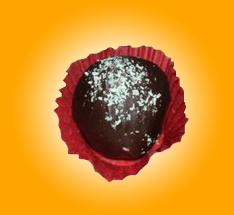 The Cacao Tree specializes in a variety of all natural and preservative free chocolate confections. All truffles and other confections are handcrafted and low in sugar using only the finest quality fair trade chocolate from France, Belgium, Mexico, Central and South America (containing up to 70% cacao content), as well as fresh ingredients, which results in a uniquely rich and complex flavor. Holiday season is here and that means new seasonal truffle spice infusions! Place your order today! The Cacao Tree is featured in The Washington Post Express!! Our popular "pan de muerto" (Day of the Dead Bread) was featured in The Washington Post Express. Read it here. 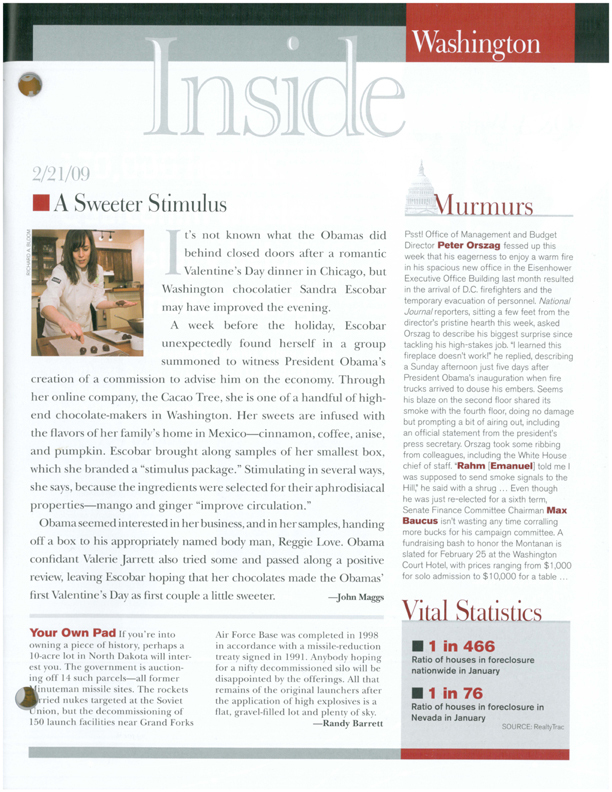 THE CACAO TREE GOES TO THE WHITE HOUSE AND IS FEATURED IN THE NATIONAL JOURNAL!!! Sandra Escobar was invited to the White House and gives chocolates to the President!. Sandra Escobar's visit to the White House is featured in The National Journal, Read the article here. 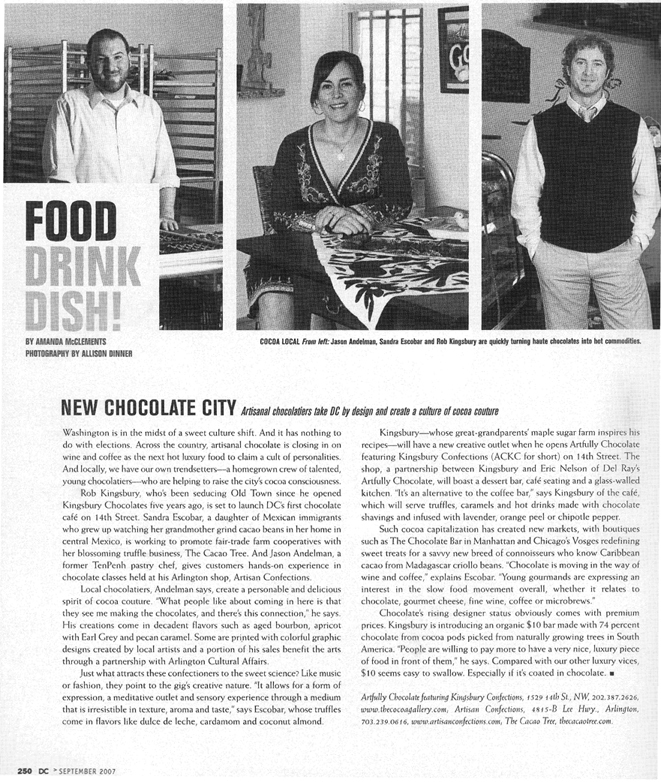 Sandra Escobar, chocolatier of The Cacao Tree, is featured in DC Modern Luxury Magazine. Read the article here. Did you see the Chocolate of the Month Club story in Daily Candy highlighting The Cacao Tree's Chocolate of the Month Club? The Cacao Tree Using the best in fair trade chocolate!